Drop me off on a farm with a camera and come back in eight hours; chances are I’ll be occupied and supremely content the whole time. After all, I am a country girl at heart. When the subject matter is something I am particularly drawn to, I can get completely lost in what I’m doing, enamored by all that is going on around me and hesitant to take that one final frame even after a full day of shooting. 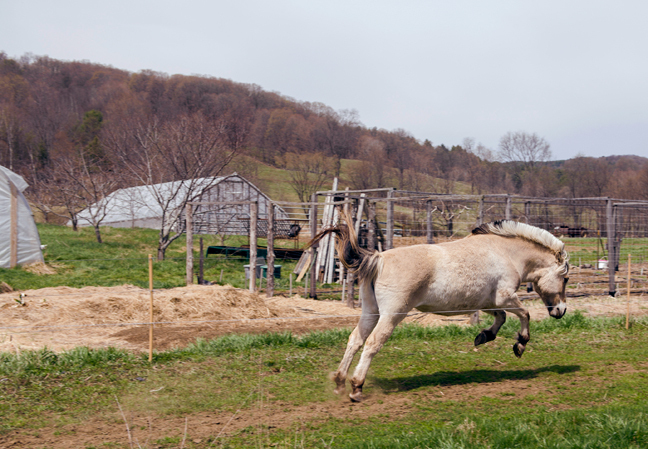 Such was the case at Cedar Mountain Farm in Hartland, Vermont, in late April. Twenty-one of the resulting images appeared in Anne Raver’s excellent story about the farm’s horse-powered component in the Home & Garden section of The New York Times recently. 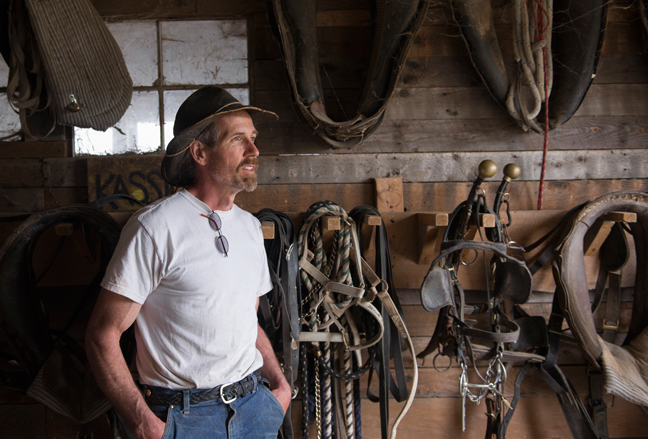 Read the article for the back story on Stephen Leslie’s fascinating trajectory from artist to monk to organic farmer and horse whisperer. His calm, gentle, yet assured manner in dealing with the Norwegian Fjord horses was a wonder to witness. 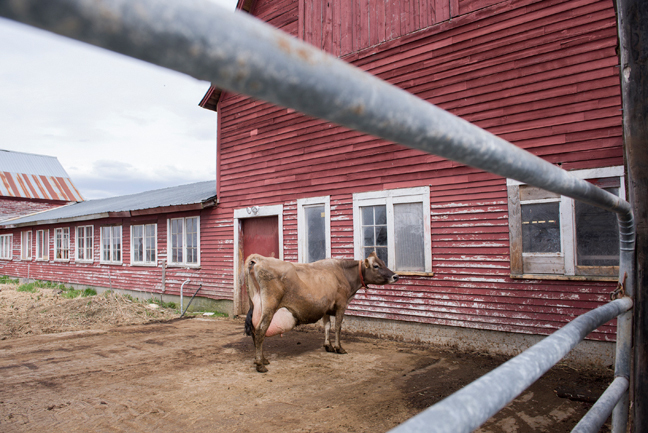 The 1,000-pound animals were decidedly non-threatening and obedient. 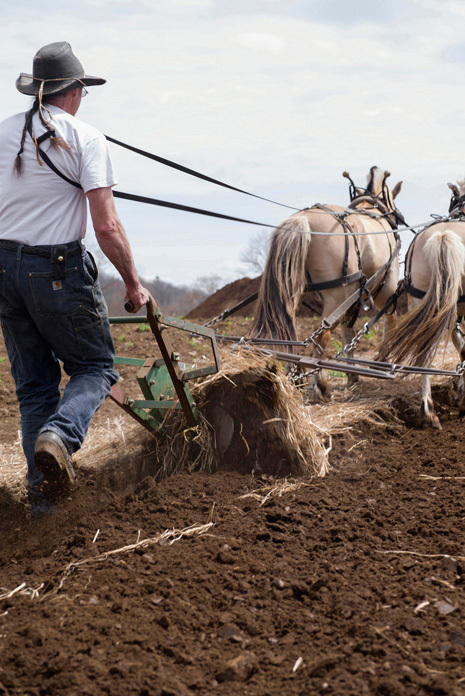 After seeing him in action, I have no doubt his new book from Chelsea Green The New Horse-Powered Farm: Tools and Systems for the Small-Scale Sustainable Market Grower is bound to become the definitive book on the subject. Having recently spent time in an intense environment where people are connected to the point of distraction—and getting sucked into it myself as a recent iPhone convert—I particularly appreciate Stephen’s desire to delve into the spiritual element of working so closely with these animals. In the article he says, “I think people are hungering for a kind of unplugged reality. That leads to a deeper self-understanding.” Coincidentally, I just read “The Art of Paying Attention” by James Fallows in this month’s The Atlantic about continuous partial attention and how to focus in this hyperconnected world. Linda Stone, the tech executive Fallows interviews, conjectures that “the generation that has been tethered to devices serves as a cautionary example to the next generation, which may decide this is not a satisfying way to live.” Let it be so. Below are some outtakes from this environment of “relaxed presence” where the only tethering is that of the horses to the plow, and where, as Stone says, “Mind and body are in the same place at the same time”—something we could all benefit from striving toward. 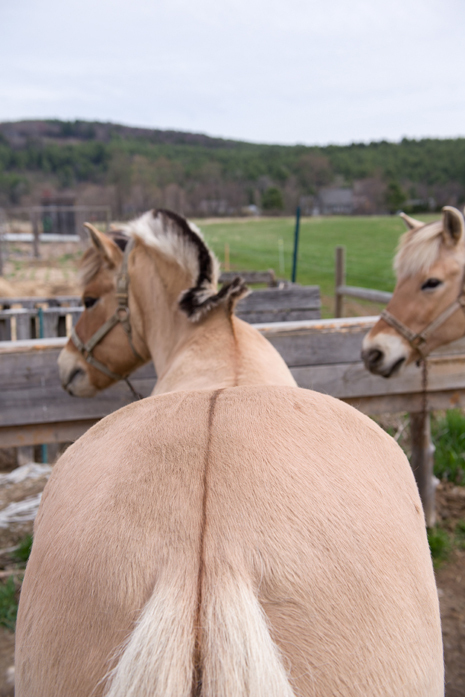 The Norwegian Fjord horse has many distinct physical attributes including this dorsal stripe handsomely displayed by Tristan. Grooming the copiously shedding horses is a daily ritual. Making short work of a field where a cover crop will be planted. Never one to miss out on a party, the youngest Fjord horse on Cedar Mountain Farm, Isolde, gallops to catch up to her friends already out to pasture. 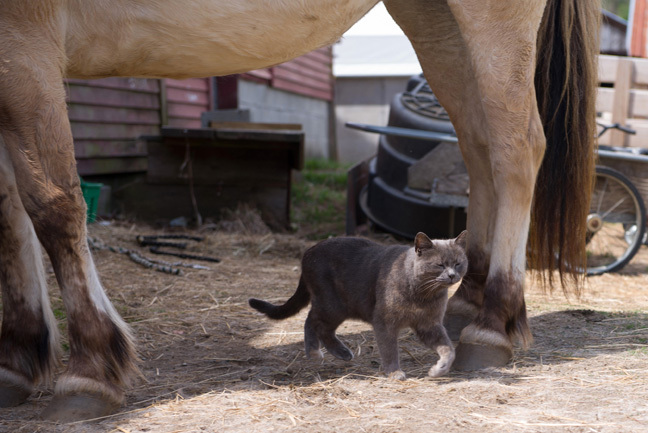 The horses are so calm that even Charlie the barn cat feels comfortable walking underneath them! 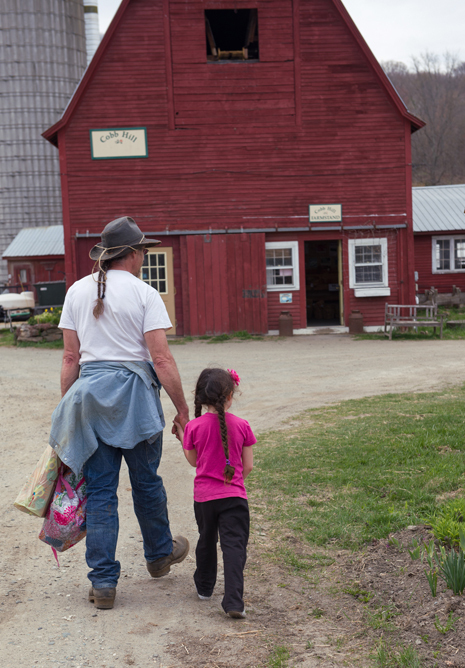 Stephen leads his 6-year-old daughter, Maeve, onto the farm when she arrives home from school. 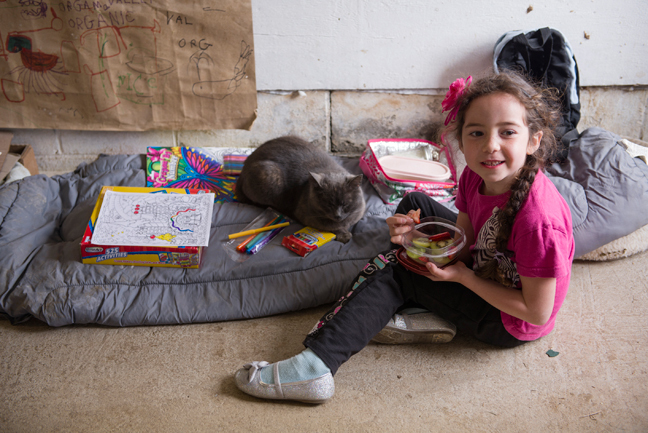 Charlie keeps Maeve company in a corner of the milking parlor while her parents tend to the 20 jersey cows that need milking. 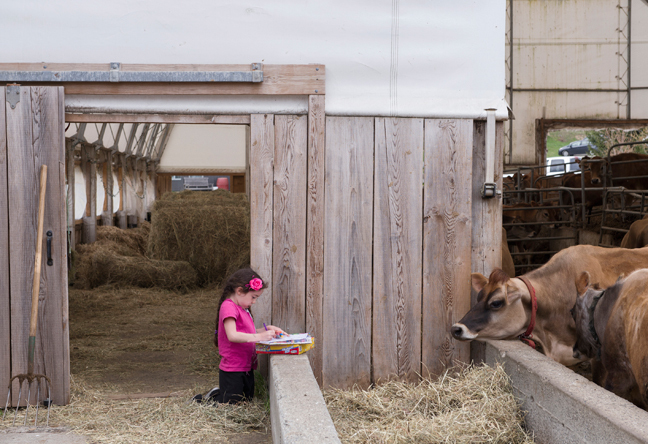 A curious cow observes Maeve as she colors. First in line for dinner! 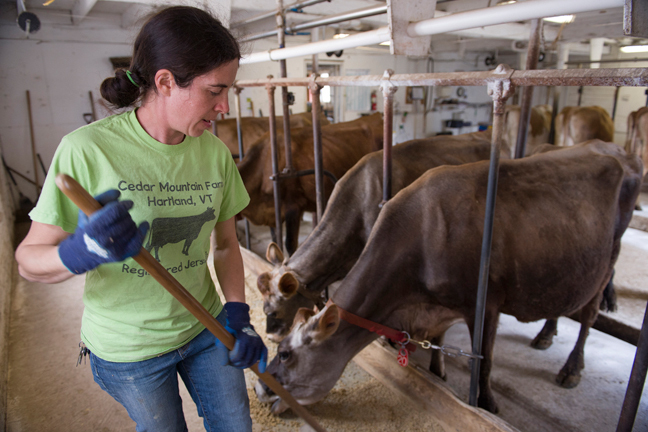 Stephen’s wife, Kerry Gawalt, feeds the farm’s cows prior to milking. 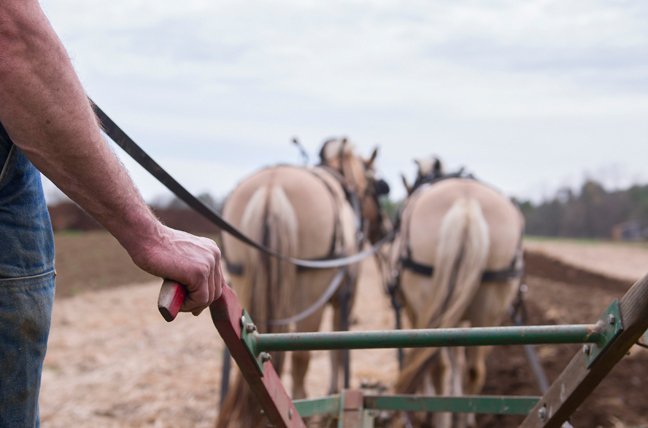 The cows’ manure is composted and turned into the fields by the draft horses. 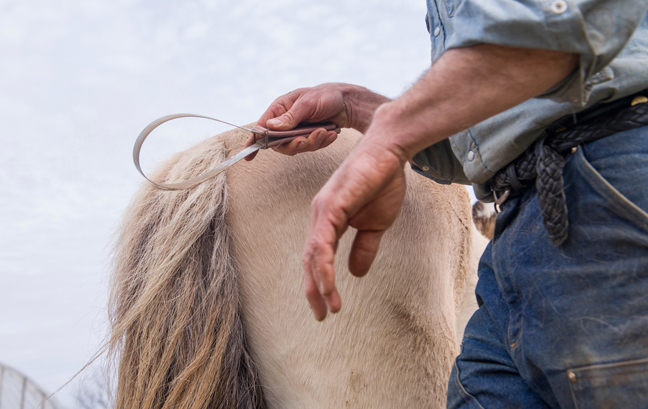 This entry was posted in farming, gardening, The New York Times and tagged Cedar Mountain Farm, Cobb Hill, Fjord horses, horse-powered farming, Kerry Gawalt, Stephen Leslie on June 20, 2013 by Stacey Cramp.